One of the only harbors in the Turkish Mediterranean Aegean border that presents the most picturesque lush green hills, an impressive promenade that stretches all the way to the next resort town, and many of the top rated gullet cruises in Turkey, is Marmaris. Among the harbors that are the start of yacht holidays, Marmaris paints the greenest and bluest sceneries overall. You can be sure that you will barely see any barren land even as you leave Marmaris bay. This splendid seaside city is a kaleidoscope of beautiful places near and far. There is plenty to see and do for travelers who are staying overnight. Everything is within walking distance. 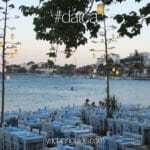 Local shopping, restaurants, bars and night clubs run parallel to the waterfront. This offers a great opportunity for guests of Marmaris private yacht charters to explore the starting point of their blue cruise in Turkey. Luxury yacht charter Turkey vacations are well spent from pretty much any major harbor; however Marmaris has a magical allurement, particularly in the harbor area, where the blue really does meet the green. To embark from Marmaris, means to stay overnight, just once. It is truly a delight to get a taste of its pleasant liveliness while enjoying your dinner in the harbor. Then the following day, enjoy your hearty breakfast in the morning with one of the most breathtaking sceneries you will see during your journey. Although it is known that many of the best gulets are built and based in Bodrum. This is also true for Marmaris. Nearby is the town of Bozburun. Many beautiful gulets are also constructed there in shipyards. However between the two cities, below are a few of the most popular gulets chartered during the season, which have left guests more than satisfied with their cruise in Turkey. Remzi Yilmaz gulet is an all time favorite gulet. 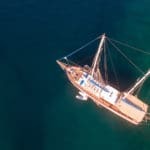 Not only does she hold a solid reputation for great service and very comfortable cabins, the Remzi Yilmaz is priced well for a gulet in her class. Considered as one of the best gulets in her class, you will be captivated with the Mare Nostrum gulet. 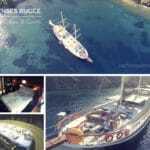 From within the same family, the Nurten A gulet and her sister, the magnifcent gulet Kadir Kaptan are top choices in ‘true’ gulets. All three gulets have the same owner. Each are what may be considered ‘the cream of the crop’ in gulets from Marmaris. With their classical appeal and top level services and standards, it’s no wonder they get booked up from the year before or early in the same year. 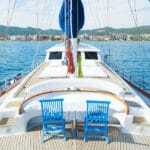 There are always more to choose from in Marmaris gulet cruises. It’s all a matter of taste, style, budget and other peronalized criteria.